Peter Francis lives in Brighton, UK, where he spent a number of years as an illustrator for children s television before turning to books. When not painting in his studio, he enjoys long coastal walks, exploring local history, and growing vegetables. 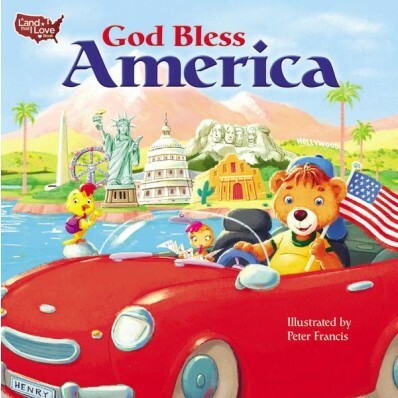 God Bless America By Peter Francis is an incredibly adorable book. As a homeschooling mom of 4 I love books like this that teach children all about our wonderful landmarks. I also really like how God Bless America By Peter Francis focuses on how God made a wonderful place for us to live. This is a great way to remember to thank God for all that we have. My kids love this book and I really appreciate that it's a board book because they hold up well in my house. You can find God Bless America By Peter Francis on Amazon, Barnes and Noble, Zondervan and other bookstores.